From Kuaishou to Bilibili, what are some of the biggest names you should know about China’s burgeoning livestreaming market? Editor’s note: Lauren Hallanan is the VP of Live Streaming at The Meet Group. 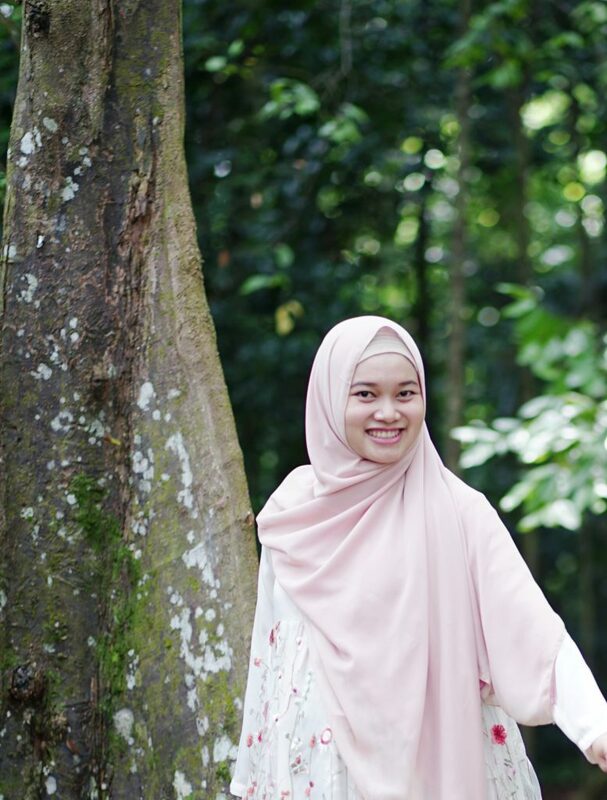 She is particularly known for her knowledge of influencer marketing, live streaming, and social commerce. She is the host of the China Influencer Marketing Podcast. This article was originally published here. In late 2016 and early 2017 there were over 200 mobile apps in China that had live streaming features. In addition to the typical general entertainment style live stream platforms such as YY and Huajiao, live streaming platforms were being created for all types of verticals including education, personal development, dating, e-commerce, and of course gaming. Nowadays live streaming has become widely accepted as a medium that can be beneficial for nearly any industry because it allows for interactive one-to-many communication. As part of that trend, many of China’s major short video platforms have incorporated live streaming as a way to diversify revenue streams and offer video creators another way to connect with their fans. Here I’ll introduce several key short video, gaming, and e-commerce live streaming platforms. In 2018 short video apps have become extremely popular in China and many of these platforms incorporate live streaming features. Some of them make significant revenue from live streaming and because of that are sometimes even labeled as live streaming platforms. 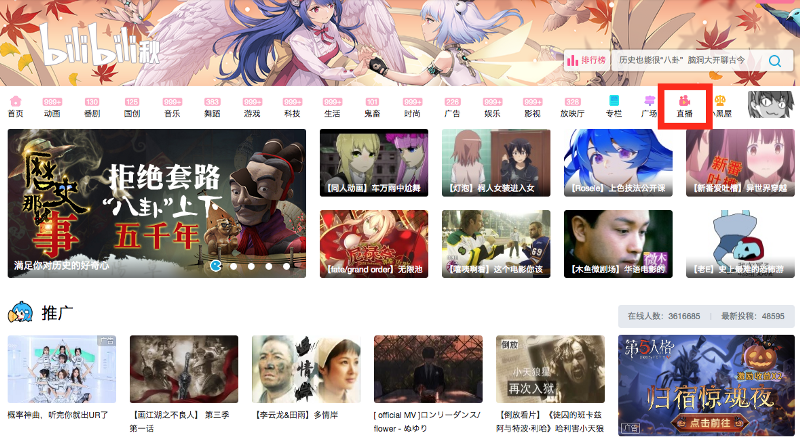 Three of the most popular ones are Kuaishou, Douyin, and Bilibili. Remember the TV show jackass? Well if you turn that into a Chinese short video app it would be Kuaishou. Many of Kuaishou’s videos feature young men in rural China playing pranks on one another. The platform, full of low-class and crude (but funny!) content, has risen to popularity and distinguished itself from its rivals by providing a glimpse into the lives of those in China’s countryside. 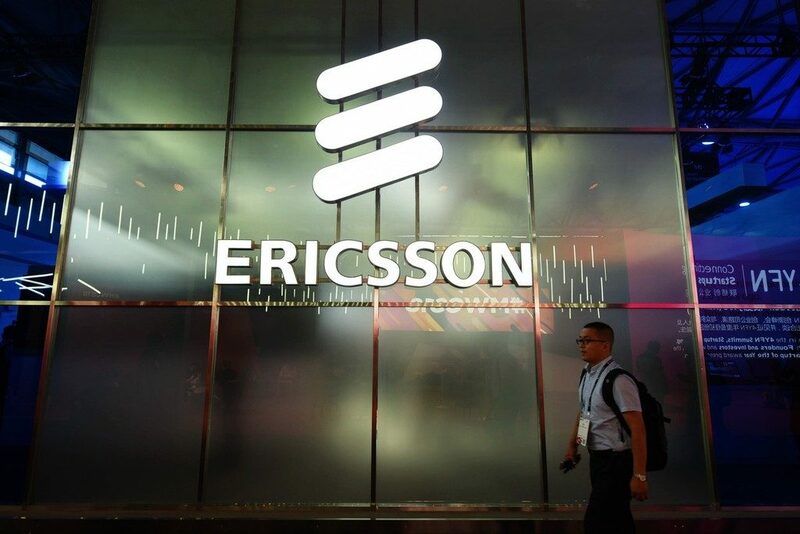 Reportedly valued at about $18 billion, the company is reportedly gearing up for an IPO this year in Hong Kong. In 2017 Kuaishou was China’s most popular short video streaming app with over 20 percent market share, according to a December report by Chinese data provider Jiguang. According to a report released in January 2018, Kuaishou had 700 million registered users and over 100 million DAU. Live streaming content on Kuaishou is intermixed with video content on the main home feed, there is no separate live streaming tab. From my understanding, (and maybe this has changed) not all users can live stream, a user must have a certain amount of followers and popularity on the app before he or she can unlock the ability to live stream. Other than that, the live streaming feature is similar to other pure-play live streaming apps, enabling streamers to earn money through virtual gifts from their viewers. 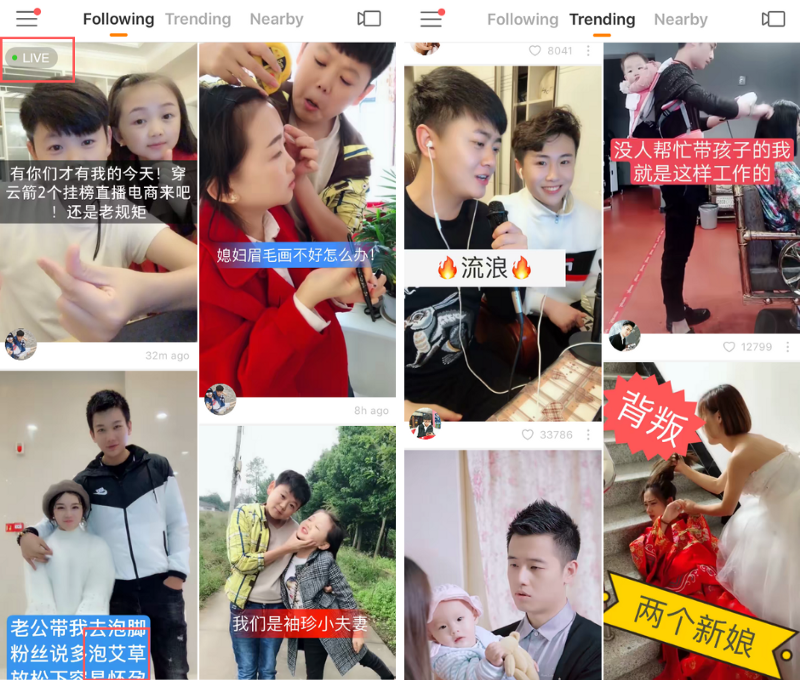 Unlike other Chinese short video platforms that monetize mainly through advertising, reports reveal that Kuaishou relies heavily on live streaming as its main revenue stream, which is why it is often referred to as a live streaming platform. Although there are advertisements and branded videos on Kuaishou, industry insiders also surmise that many brands are reluctant to run ads on Kuaishou because they don’t want the reportedly low-class content on the platform to hurt their brand reputation. Although Kuaishou does feel pressure from its competitors, it has done a pretty good job of carving out its own space and catering to a demographic that many apps try to avoid. The platform is now reportedly focusing on overseas expansion and has become quite popular this year in countries such as Vietnam, Indonesia, Ukraine, Turkey, Russia and Belarus. Douyin has been one of the hottest short-video apps in China this year. It a trendy short video platform owned by Bytedance. The international version of Douyin is called Tik Tok. Earlier this year Bytedance purchased Musical.ly, a popular Western short video app and integrated it into Tik Tok as part of their push for global expansion. As of June, Douyin’s monthly active users had reportedly exceeded 300 million and they claimed to have 150 million DAU. This comes a mere 21 months since launch. 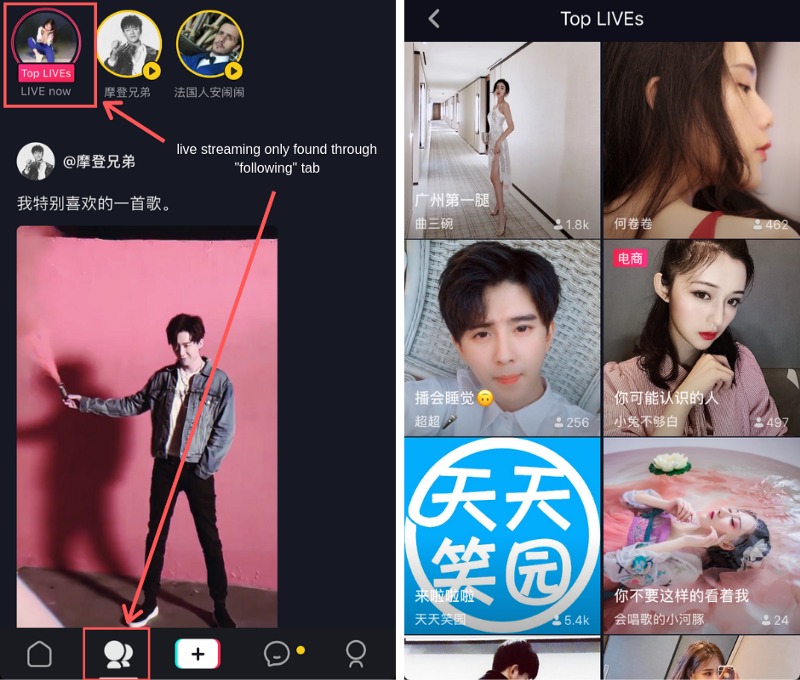 While Douyin does have live streaming features, it hasn’t expanded them as much as they originally said they might, so while some call it a live streaming platform, I would definitely categorize it as a short video platform. When it comes to monetization, Bytedance seems to be more focused on advertising revenue tied to short videos as opposed to virtual gifting in live streams. It is easy to see why. Top brands from all over the world such as Audi, Adidas, and Dior are flocking to Douyin, opening official brands accounts, working with Douyin influencers, and paying to sponsor competitions and campaigns on the platform. When users are watching live streaming, they are spending less time watching short videos, which is the core product that Douyin is earning revenue from, which is probably one of the reasons why they have been reluctant to expand their live streaming features. Currently the streaming feature is not open to all users, I believe a user must have at least 10 thousand followers to unlock the feature. It is hard to find the streaming tab within the app, it is hidden on the “Following” tab. So it is essentially a tool for streamers to connect and interact with their audience, but not the main means of growing their audience. Douyin is definitely an app worth watching, but I don’t think it’s a big contender in the live streaming space. I think it is relevant because it is taking users away from live streaming. Reports have shown that since the growth of Douyin and other short video apps, the time Chinese people are spending on live streaming platforms has decreased. Bilibili is a video streaming site popular among young Chinese people (mainly 25 and younger) who are interesting in ACG culture of animation, comics, and games. It has about 85 million monthly active users. The platform’s signature feature is danmu or ‘bullet comments’ where user’s comments fly across the screen of the video or live stream while its playing. While videos and video games are the main draws of the site, it does have live streaming as well. The live streaming on Bilibili is a bit different that other live streaming platforms in that the streamers and types of content are in line with the site’s strong ACG culture. There are a lot of streamers in cosplay, video game streaming, and an increasing amount of streamers doing ASMR, which is a sound creation technique meant to give the viewer a relaxing tingle at the back of their head and/or spine. Currently Bilibili reportedly makes most of its money from mobile games. However, Bilibili’s long-term goal is to reduce dependence on their gaming business, which faces stiff competition from market leaders like Tencent and tighter government regulations. The platform is actively expanding its live video-streaming, value-added services (comics, music, and other features), and advertising businesses. As of Q1 2018, live streaming reportedly made up 11% of Bilibili’s total revenue. The platform has grown significantly over the past few years and more and more brands are showing interest in it, it is definitely worth keeping an eye on. When it comes to live streaming, there is another category that is huge, and that is gaming. 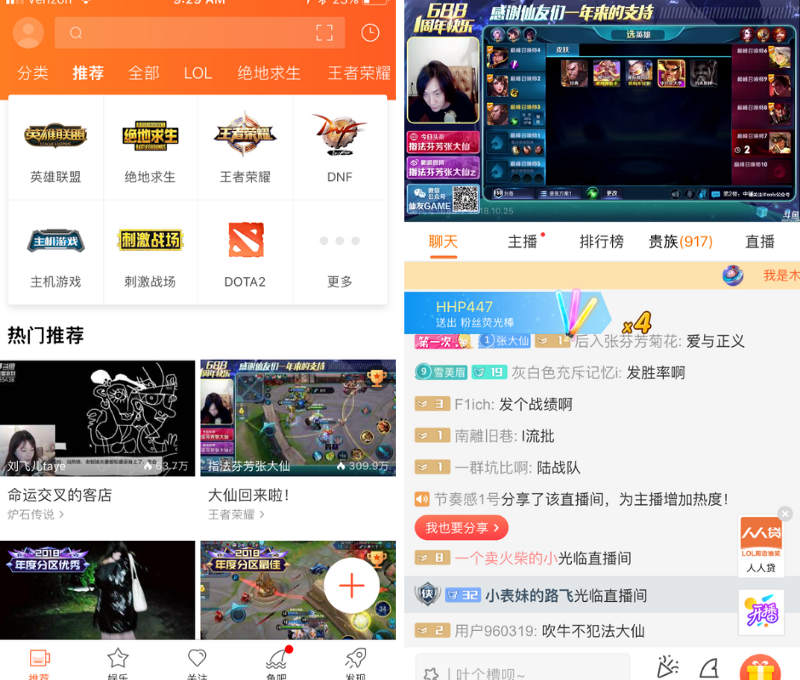 In the West, Twitch essentially owns this vertical, while in China, one of the fastest growing and largest gaming markets in the world, there are a number of very popular video game live streaming apps including Huya, Douyu, Chushou, and Panda TV. Huya is a gaming/lifestyle live streaming platform launched in November 2014 by YY inc., a top entertainment live streaming company. It boasts 91.5M users and, while Huya does have lifestyle content, it is mainly a gaming platform and known for its active video game streaming community. They reportedly hold streaming rights in China to events like the World Electronic Sports Games and Riot Games’ 2018 League of Legends Korea Champions. Huya was formerly a subsidiary of YY, but spun off and became a stand-alone app. In March of this year, Huya announced that it had received $426 million from Chinese tech giant Tencent (who also happen to be the largest video game publisher in the world) acquiring a 34.6% stake in Huya. Tencent is currently reportedly integrating many of its top games into Huya’s streaming platform. Right after the investment Huya began working towards an American IPO. The company raised $180 million and began trading on the NYSE on May 11, 2018, at a price of $12 per share. According to an article from Technode earlier this year, although video live stream revenues have been growing fast, Huya has yet to turn a profit. But they appear to be on the road to profitability. During Q4 2017 and Q1 2018, Huya’s saw a major user volume spike, and its Q1 earnings pushed it to a historic break-even. In September, Amazon’s Twitch was blocked in China and people were saying the ban was good news for Huya, but really, Huya’s biggest competitor in China isn’t Twitch — it’s Douyu TV, a bigger Tencent-backed platform that reportedly hit 200 million MAUs and 30 million DAUs last year. The fierce competition between domestic live gaming apps in China is potentially another reason why Huya has yet to turn a profit. While Twitch is really the only option for Western video game streaming talent, in China, top talent can choose from a number of platforms, meaning that Huya, Douyu and the other game streaming apps must spend large amounts to attract and retain top talent. Douyu TV is very similar to its top competitor Huya in terms of content and features. 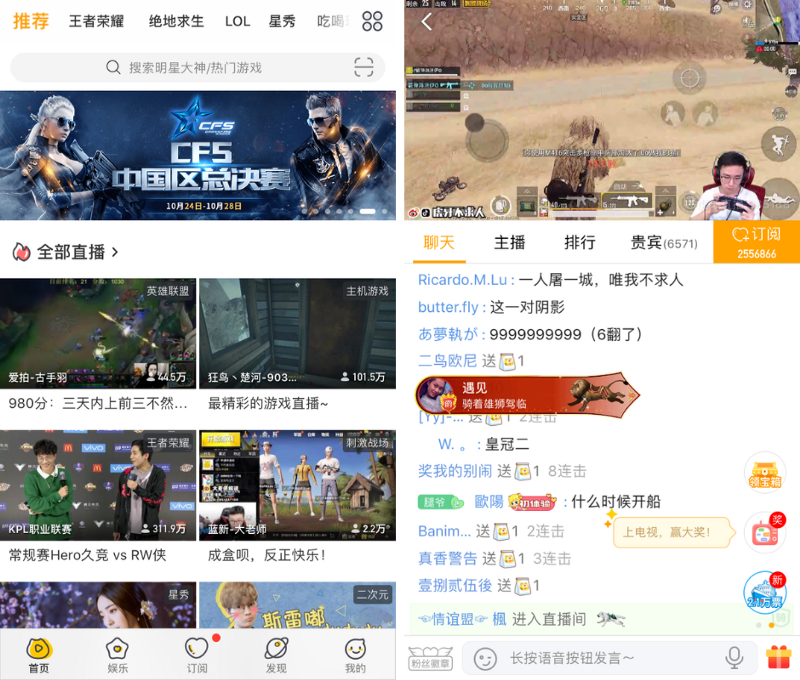 It can be difficult to find clear differentiators between the two platforms, some reports claim Huya has more users, others say Douyu has more active streamers. Some say Douyu is a broader entertainment platform and has more non-gaming content that Huya does, and others point out the two cater to different niche gaming sub-segments. Interestingly enough, these two apps share a major investor. Chinese tech giant Tencent has invested in Douyu TV multiple times, in its latest round of fundraising in March, Tencent reportedly invested US$630 million. Do note that this was right around the same time Tencent invested in Huya. Douyu TV is also planning its own U.S. IPO. It was originally rumored to be taking place in Q3 of 2018, but there haven’t been any recent updates. While the Douyu platform apparently lacks the major broadcast rights deals Huya has, it does have direct sponsorships with esports brands like its deal with Chinese Dota 2 team PSG.LGD. Most recently, in early October Douyu was reportedly pulled from several app stores in China. The removal prevents new users from downloading the app but not affect current users. It is doubtful this will last long, as it seems like it is just part of an ongoing content crackdown in China. 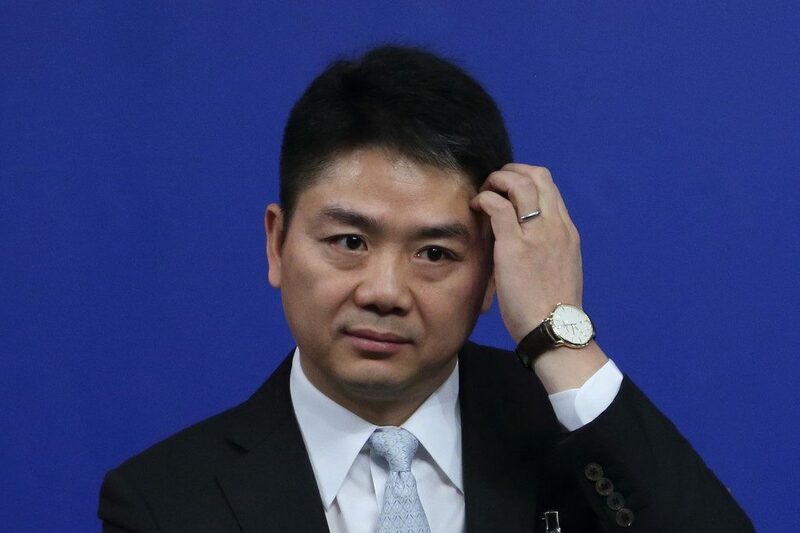 Though the specific reason for the crackdown has not been shared, these crackdowns occur on a fairly regular basis and after Douyu cleans up the issue things should return to normal. In addition to Huya and Douyu, Chushou and Panda TV are two other platforms to keep an eye on in the gaming space. First launched in July 2015, Chushou TV specializes in live streaming for mobile games. In early January 2018 Google took part in a Series D funding round for Chushou. This was the first major investment Google has made in live broadcasting for video games since it lost the acquisition opportunity of Twitch to Amazon three years ago.The value of Google’s investment in Chushou was not disclosed, though Chinese media have reported it as $77 million. 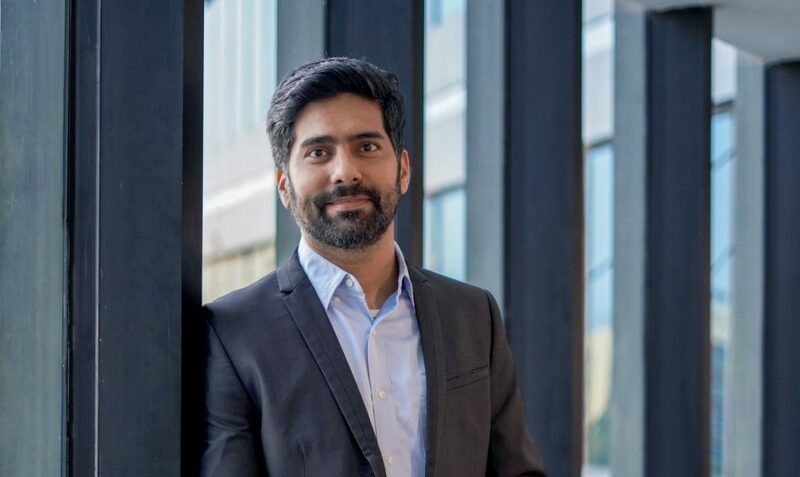 PandaTV was founded by Wang Sicong, the son of one of China’s richest men, billionaire Wang Jianlin, owner of the world’s biggest private property developer Dalian Wanda Group and the world’s largest cinema chain, Wanda Cinemas and the Hoyts Group. Recently the platform has been facing issues such as increasing doubts of liquidity problems, financing shortage, and Wang Sicong’s hesitation in continuous material support. However on October 20th, the company’s COO Zhang Juyuan told Chinese media that the company is doing fine and has plans to IPO before the end of this year. Live streaming has become one of the hottest way to sell to Chinese consumers. Top e-commerce platforms such as Alibaba’s Taobao and Tmall, as well as JD.com have added live streaming features that allow consumers to watch a stream and directly purchase the item being shown by the streamer without ever leaving the stream. 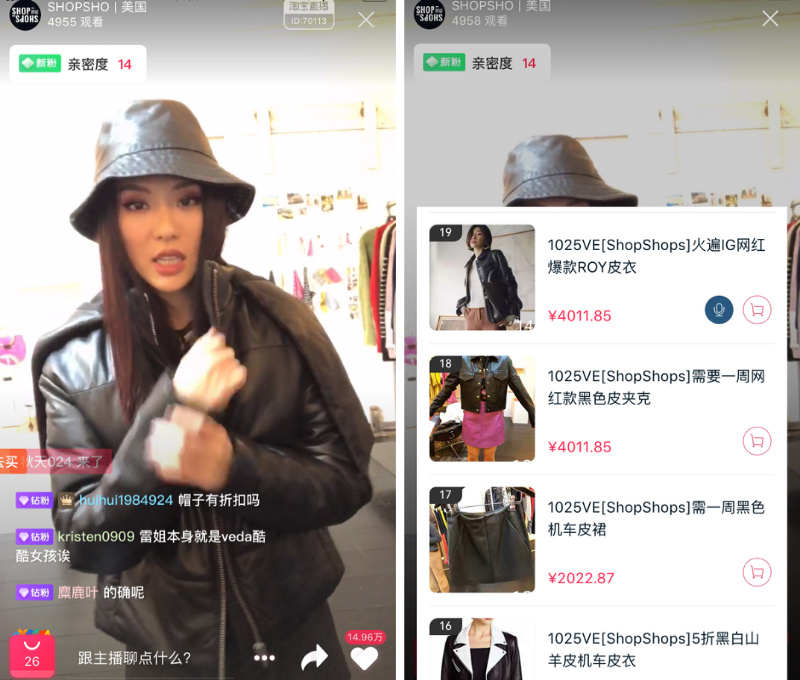 Live streaming is essentially China’s modern twist on QVC or the home shopping network here in the States, and it has apparently proven to be quite effective. Live streaming has become popular among Chinese consumers for several reasons. First of all, it allows experts to show the product being used, give examples of how to use it, and to point out the results. The audience can ask questions and get answers on the spot. It also seems more authentic and trustworthy. While the China e-commerce industry is huge, buying things online is often unreliable due to the prevalence of knock-offs, poor quality items, and fake reviews. Live streaming provides transparency. Chinese consumers can see what products actually look like, rather than just generic photoshopped photos the seller found online (which is an extremely common practice). Global brands are jumping on the trend. A study by consumer research group L2 showed that two-thirds of beauty brands in China have held live streaming events on Tmall. While the fashion and beauty industries are leading the charge, live streaming is an opportunity for any industry. 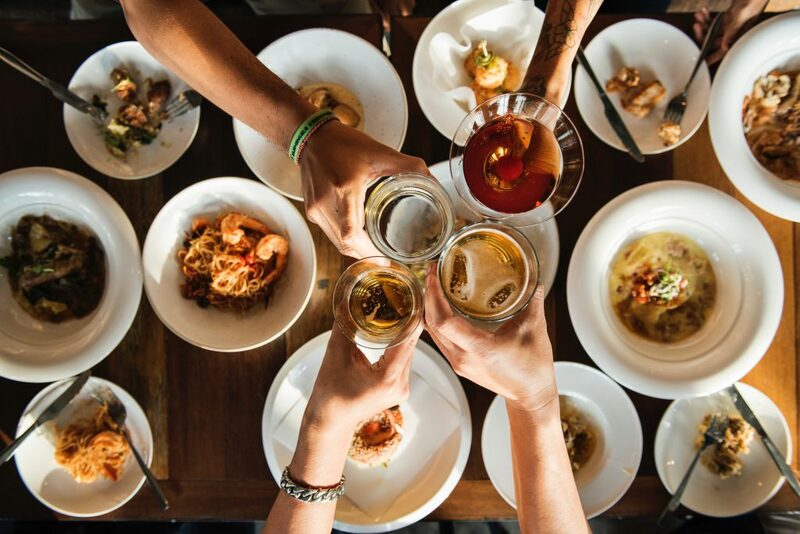 From luxury cars to French infant milk powder, brands are experiencing significant results and it has become a regular part of their marketing mix. Personally, I see e-commerce live streaming as one of the biggest potential growth areas for the live streaming industry in China. 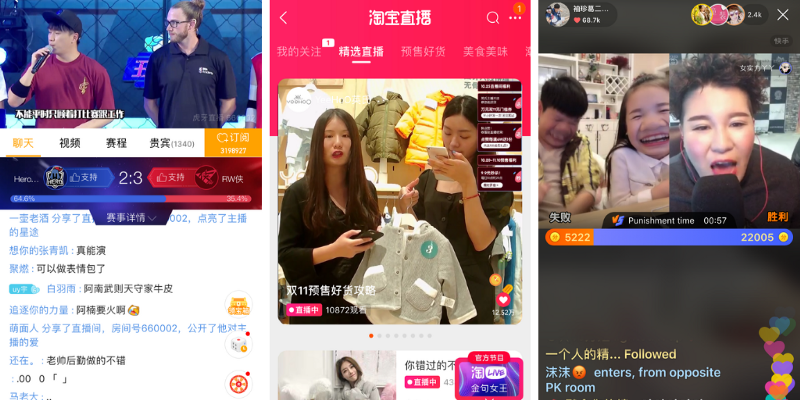 A number of entertainment live streaming apps, including Momo, Yizhibo, and Kuaishou, have incorporated e-commerce functionalities. The nine apps mentioned in this article are still just the tip of the iceberg when it comes to the breadth and depth of the Chinese live streaming industry. In the West, live streaming is still most commonly associated with the entertainment and gaming industries. Does it have the potential to move beyond that into a wider variety of verticals as it has in China? I believe so.